getAvailableFontFamilyNames method of GraphicsEnvironment class. * method of GraphicsEnvironment class. * This is a static method. 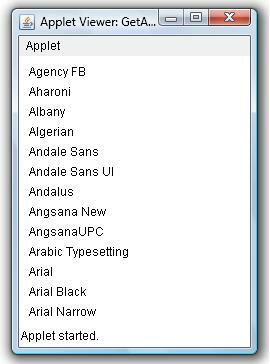 * containing names of available font families.